The opportunity to own a few more pieces of rock'n'roll history will be taking place on New Year's Day as items previously belonging to legend John Lennon hit the auction block. 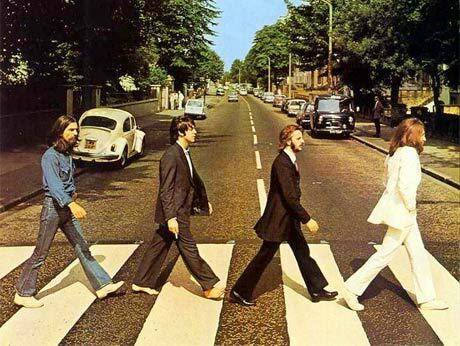 Norwalk, CT bidding house Braswell Galleries will oversee the sale of prestigious garments including the white, two-piece suit Lennon wore on the cover of the Beatles' inimitable 1969 effort Abbey Road, as well as the dark blazer showcased during the video for his 1971 hit "Imagine" and a 1972 Chrysler station wagon belonging to him and wife Yoko Ono. While a few other items are slated for auction, the custom-made ivory, wool-blend Abbey Road suit has already been generating attention, as house co-owner Gary Braswell noted to Norwalk's Hour newspaper. It was sold (with the blazer) in 2005 to collector Anthony V. Pugliese for the whopping sum of $120,000 U.S. before once again being auctioned off to the current owner. A few hopeful buyers have already contacted Braswell yet he declined to speculate on the final price. Bidders may contact Braswell through its website. When asked about the reason for such revered items to be offered during the company's 24th annual New Year's Day auction, Braswell revealed that mounting economic woes have forced the current owner to sell. UPDATE: The suit sold for $46,000.